w.w.e.d.? : stick shifts and safety belts. stick shifts and safety belts. what a fine day for a race. 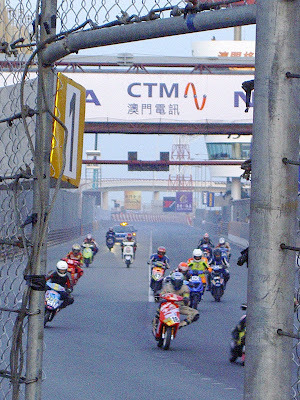 we spent a saturday in november on the isle of macau - the las vegas of the far east - at the macau grand prix. 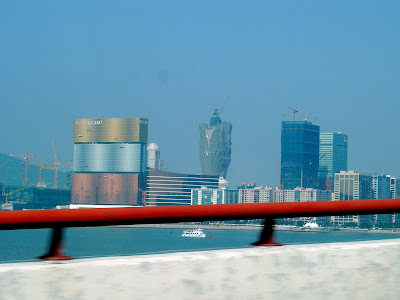 casinos from afar. we arrived so early in the morning that we decided to have a nice buffet breakfast at the brand-spankin' new macau venetian. waffles never tasted so good. and a little asian persuasian... brigham, we took this picture for you. I love the video! You guys are so awesome! 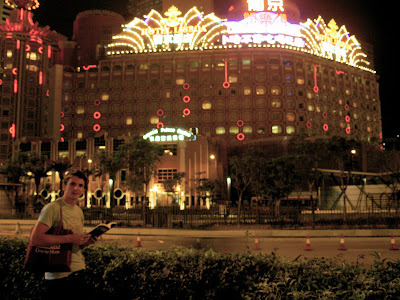 The casino buildings there are so cool. Oh and the breakfast buffet sounds amazing. I am hungry for waffles now! Nice! Got your own nascar over there huh! Breakfast buffets have got to be one of the best fulfilling activites you can do! 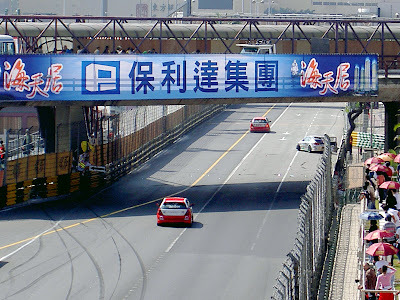 Love seeing the adventures in China. Hope the babe is doing well! Only 76 days left. Wow, time goes by fast. 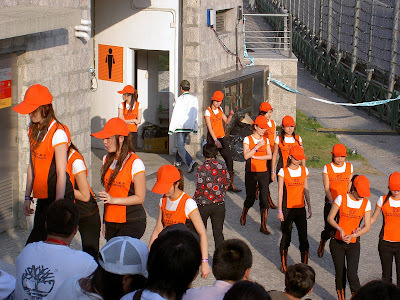 My husband served part of his mission in Macau and he always wanted to go to the Grand Prix and he was wondering how much tickets are in case we are ever over there. 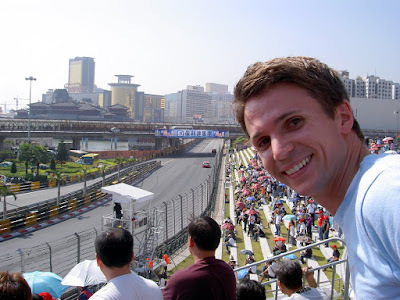 My husband served part of his mission in Macau and always wanted to go to the Grand Prix. How much are tickets in case we are ever over there. I love looking at your blog. I can't believe you guys are in HK, how cool is that! You are getting a cute baby hump, a boy will be so much fun. You can check out our blog at billyandjacee.blogspot.com. It sure looks like you guys are getting to see a bunch of amazing places. How fun. I'm jealous. 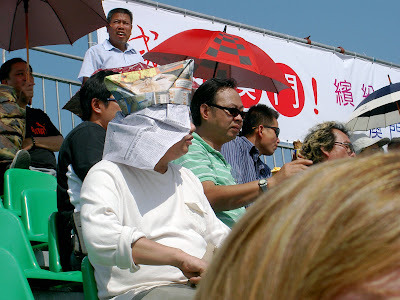 I love the newspaper hat...tre asian chic!